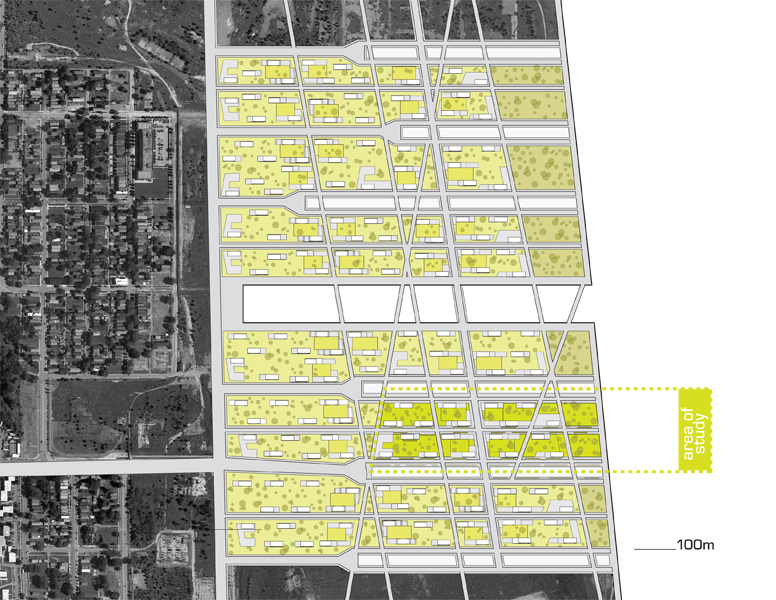 The project looks at what it means to create sustainability at a neighborhood scale. As such, various issues pertaining to sustainability were studied and modeled. 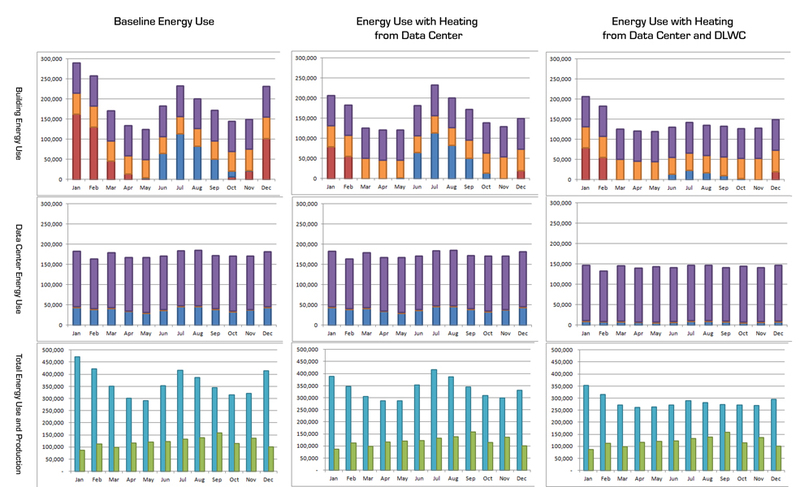 This included urban energy use, local energy generation, transportation, walkability, and outdoor comfort. 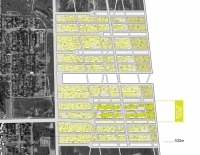 The site is located to the south of Chicago, along Lake Michigan on a former industrial site. The proposed design includes internet data centers that would provide a new, clean industry to replace the jobs in the area. 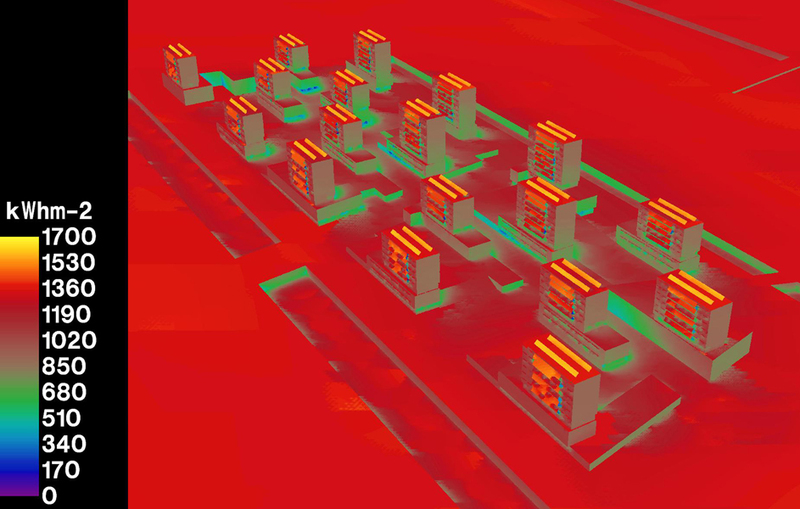 The waste heat generated from the data centers would then be utilized to provide most of the heating needed for the mixed-use neighborhood that would be built on the site. The development would also take advantage of its location on the lake to reduce the energy use. 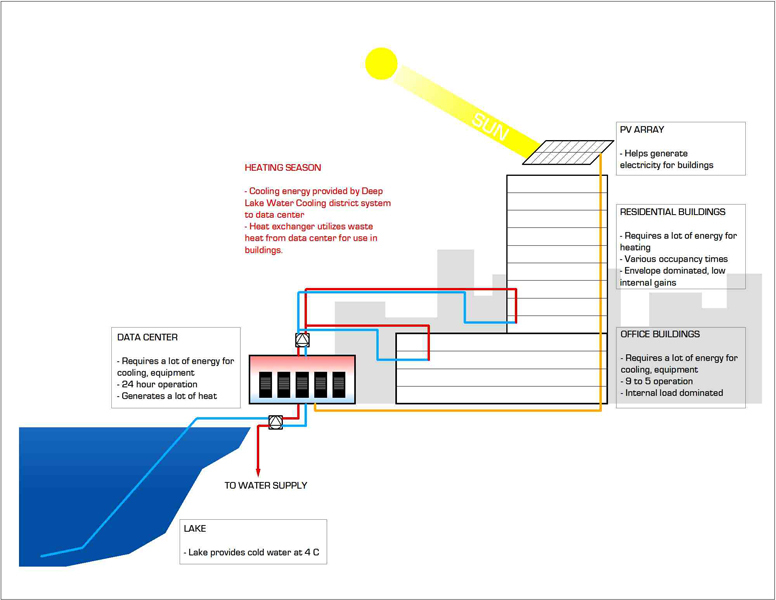 A deep lake water cooling system would be used to provide a district cooling for the data centers and the neighborhood development. This was modeled to reduce the electricity used for cooling by 86% by eliminating the need for chillers. 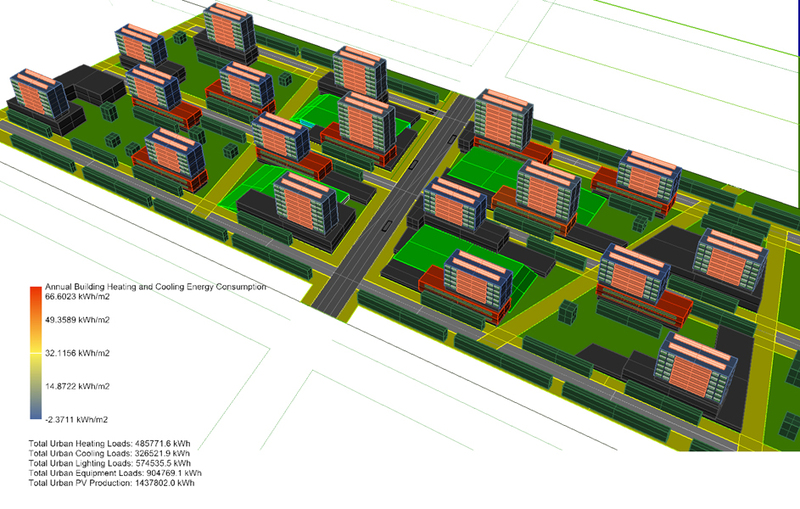 In planning the site, a great effort was made to create a walkable and pedestrian-friendly neighborhood. A hierarchy of streets were created that restricted automobile use and parking to only a few strategic corridors, thus enabling pedestrian dominated interior zones. Public transportation facilitates travel through the site and creates a link with the commuter line to Chicago. 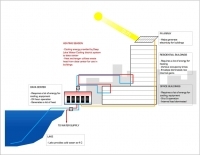 The proposed building massings were designed to provide more solar access to the residential towers and maximize PV generation.